Students are encouraged to learn in different ways, to relate learning to experience and be responsible for their own learning. CSKM has special programmes for the meritorious. Our HIGH ACHIEVEMENT MOTIVATION programme produces All India CBSE toppers in Maths, Sciences, Psychology, Economics, Informatics Practices and other Commerce & Humanities subjects every year. CSKM produces a result that is cumulatively and comprehensively one of the best in India. 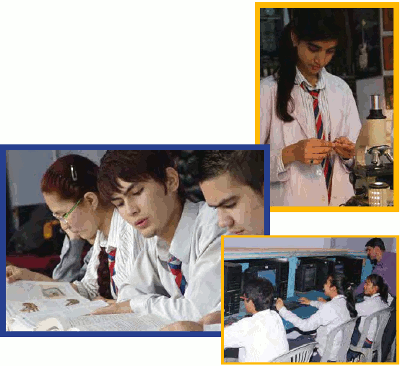 The unique feature of CSKM School is the preparation process for COMPETITIVE EXAMINATIONS and MANAGEMENT STUDIES. CSKM provides coaching by highly qualified professionals in collaboration with reputed coaching institutes of Delhi. CSKM provides up to 100% scholarship in boarding facilities to meritorious students from all states of India every year.